iMazing (formerly known as DiskAid) is a powerful iOS device manager software which allows you to manage iOS devices (iPhone, iPad, iPod, and Apple TV) contents. using computer. 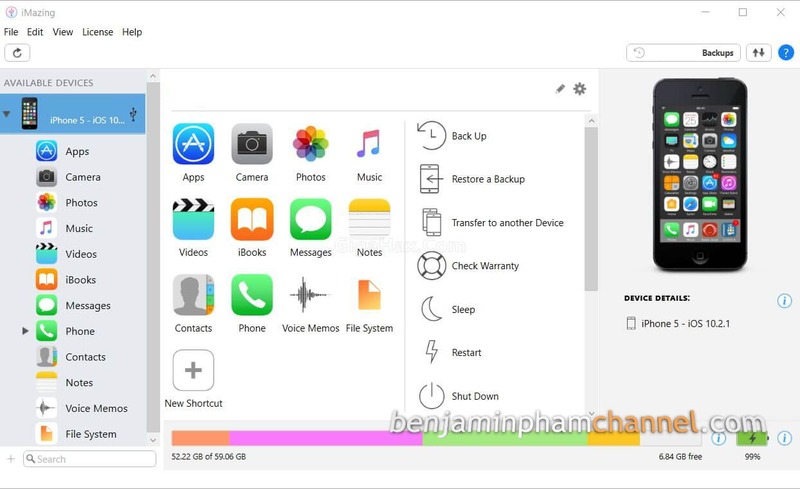 This application is developed into something amazing, it allows you to access any application installed on the device, allow to copy the iPhone data such as SMS text messages, voice messages, contacts, notes, memos, photos, videos, etc. to your computer, backup and restore data, add a media library to iTunes or folder and other amazing features. 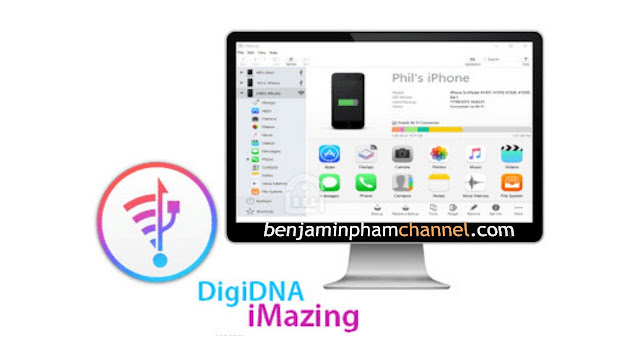 DigiDNA iMazing helps you to transfer files between iOS device and PC, browse and manage the contents like messages, contacts, call logs and many more. In addition, the software also helps you display the iOS device informations such as IMEI, model, access code, version, battery level, and many more.